Hair is a very essential part of both men and women. Some might be very lucky they have long and voluminous hair. But for some, it needs a lot of patience and proper hair care routine so that hair looks healthy and proper. Additionally, some people experience the problem of hair loss because of different factors such as lifestyle changes, improper diet, intake of drugs, and medicines for a long time. We have mentioned different tips for you which can help you to have faster hair growth. You should include enough nutrients in your diet. This will definitely make a huge difference and the hair growth will be proper. Include multivitamin which is specially formulated and beneficial for hair, skin, and nails. Moreover, the hair will grow faster and healthy if you include vitamins C, biotin, and Vitamin B in your diet. Additionally, your skin will also glow and look radiant. Hair follicles need proper blood supply so that they can grow faster. This means the blood circulation is a very important part. For this, you should gently massage your scalp before washing your hair. Use coconut oil, olive oil, and rosemary oil to massage your scalp. Not only this, it is a great natural hair conditioner as it is packed with all the essential nutrients and vitamins. Always make sure you wash hair with cold water. This helps the outer layer to be more smooth and even. This means it is great for growing your hair and it is a great way to maintain your hair. Keeping every small thing in mind will help you notice a huge change over a period of time. 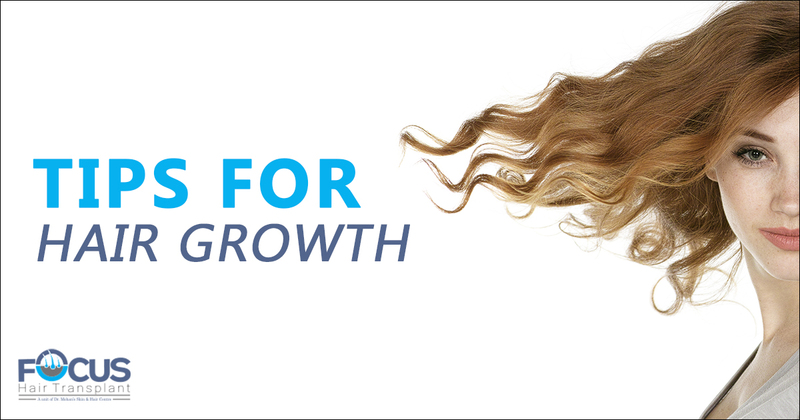 As we have already said hair needs all the essential nutrients which helps them to grow faster. In the same way, what you eat will also affect your hair. So, make sure you are eating food which is healthy. Increase the intake of nuts, seeds, fruits, vegetables, beans, and whole grains. This is another mistake which most of us make is washing our hairs every day. Use of shampoo on a daily basis will affect the hair as they will lose their natural oil. You should wash your hair either twice or thrice a week. Switch your pillowcase to silk or satin as it won’t cause friction. Using a cotton case cause friction will eventually lead to hair fall. For some people getting treatment is the best option and one of them is PRP treatment. You should consult the doctor if you are facing a problem as they can guide you better according to the issue you are facing.